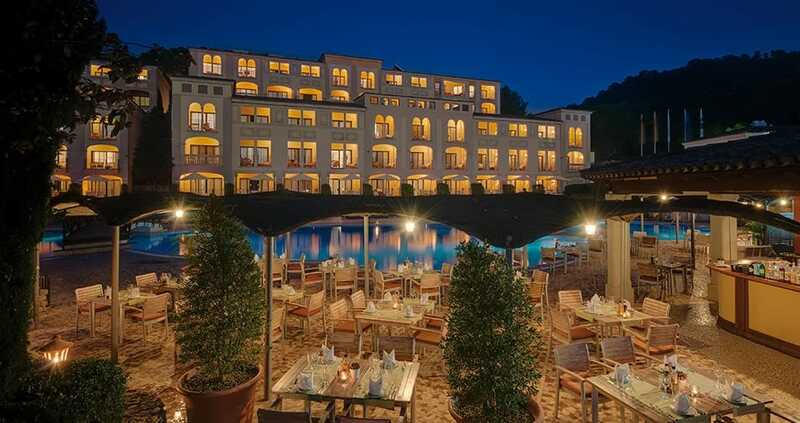 It may only be a matter of time before this relaxed southwestern beach resort becomes as well-known as its sophisticated neighbour, Port d’Andratx. The beautiful bay of crystalline water caught between pine-covered cliffs already attracts a steady influx of visitors every summer. As spectacular villas are built and the neighbourhood becomes increasingly sought-after, the chefs of Camp de Mar respond with relish to the demands of its discerning diners. 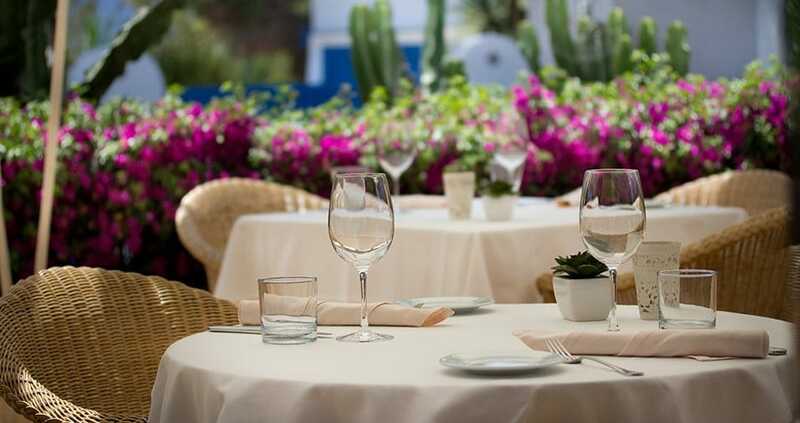 Discover creative Canarian tapas, authentic Italian flavours and superior Mediterranean cuisine at one of this coastal town’s favourite restaurants. Begin the day with a hearty breakfast of waffles, or a lunch of Mediterranean cuisine, in the light-filled Mediterránea Restaurant. For dinner, choose from freshly prepared regional specialties at the charmingly rustic El Mallorquin. Cocktails beside the pool or gourmet coffee at Atrium bar complete the culinary offerings at this five star resort. Stunning sea views from the terrace and playful presentation of Mediterranean cuisine on your plate guarantees there’s plenty to feast your eyes upon here. Founding chef, Jonay Hernández, injects a Canarian twist to the eclectic menu of locally sourced produce, with plenty of original tapas perfect for sharing. 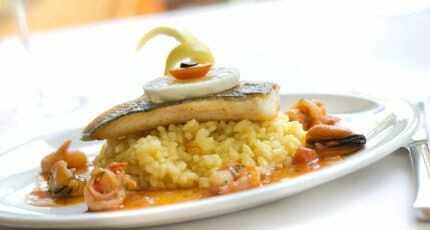 Dedicated to high quality Mediterranean cuisine, this well-reputed Swiss-run restaurant attracts a loyal clientele. The spacious terrace is appealing in summer, catering to groups and also offering a sense of intimacy for a romantic meal. On the menu, you’ll find local wines and fresh ingredients from the island. Superior Italian cuisine and a privileged position overlooking Camp de Mar’s bay are the draws of this stylish restaurant. Located above the 18th hole of the beautiful course of Golf de Andratx, it’s an enticing spot for both golfers and non-golfers alike. 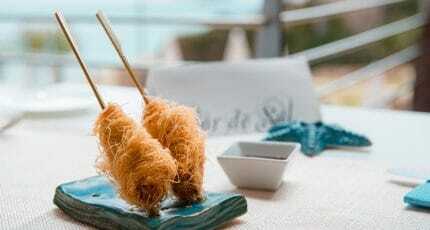 Enjoying the seclusion of its very own rock in Camp de Mar’s bay, yet easily accessible by a footbridge, gives Restaurant Illeta its irresistible allure. Lunch of a freshly prepared paella surrounded by glistening turquoise waters will make it almost impossible not to sink into a relaxed Mediterranean mood. A seasonal destination, naturally bustling in summer and quieter in winter, it’s always worth checking opening hours before making a special trip to a restaurant here. Wherever you choose to book in Camp de Mar, we hope your experience is truly delicious! 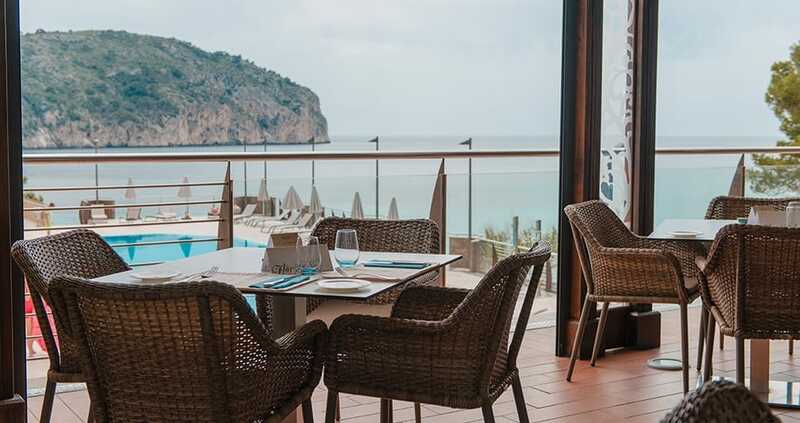 We hope you have found this article about the Camp de Mar Restaurants useful and that you have many memorable stays in Mallorca as a result of our recommendations.